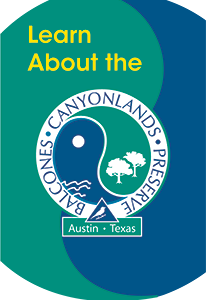 Several factors, including legislation, input by scientists, and initiative of the Austin community, contributed to the creation of the Balcones Canyonlands Preserve and are highlighted in the following timeline. Implementation of the ESA in subsequent years prohibited landowners from engaging in activities that might result in "take" of the species, even when those activities were otherwise lawful such as building and road construction. While this restriction protected species, it increasingly set up conflicts between environmentalists and landowners and resulted in bringing economic development to a halt in many communities. Lawmakers responded to the situation by amending section 10 of the ESA in 1982 to authorize the "incidental take" of a species following the creation of a Habitat Conservation Plan (HCP). An HCP requires study of what impacts an activity will have on a species and their habitat and then lays out a strategy for minimizing and mitigating that disturbance. An HCP accompanies a request for an incidental take permit. During the late 1980s, several important things occurred. In 1987 the black-capped vireo, a Neotropical migratory songbird, was listed as endangered. The following year, six karst invertebrates were emergency listed as endangered and a "group of individuals representing federal, state, and local governments, the private business sector, private landowners and environmental interests" (Source, Interlocal Agreement, HCP and EIS) sharing a concern for the rapid habitat loss in western Travis County began meeting to develop what would become a regional HCP. Two years later, in 1990, another Neotropical migratory songbird, the golden-cheeked warbler that is endemic to Central Texas, was also listed as endangered. Cited in the petition to list the golden-cheeked warbler were threats from habitat loss and fragmentation due to urban encroachment, the clearing of Ashe juniper, and increasing problems with the nest-parasitizing brown-headed cowbird. Momentum increased towards completion of the HCP in 1992 when the citizens of Austin voted to approve bonds totaling $22,000,000 to be spent "in the acquisition and improvement of land to protect water quality, conserve endangered species, . . . and providing open space for passive public use. . ." (Larger excerpts from bond language) 'Passive public use' was later defined to be "nature viewing and contemplation, guided educational tours, and walking or hiking" in land management documents for the Balcones Canyonlands Preserve. The City of Austin used these funds to begin purchasing properties that were important for habitat and water quality. In 1996, after eight years of work, the U.S. Fish & Wildlife Service issued a 10(a) permit for incidental take jointly to the City of Austin and Travis County covering eight endangered species and twenty seven species of concern. The permit covers incidental take in the permit area and outside of identified preserves and the Balcones Canyonlands National Wildlife Refuge. The Balcones Canyonlands Conservation Plan (BCCP), a regional HCP, called for the City, County, and its partners to create a preserve system, the Balcones Canyonlands Preserve (BCP), in western Travis County to conserve 30,428 acres of habitat for the named species by 2016. The plan represents a community-based solution that allows land development to occur in western Travis County while continuing to protect endangered species habitat through mitigation measures. Language in the HCP states that "under the proposed Permit, developable land outside the proposed preserve boundaries will be open to development without further ESA restrictions on incidental take" for the species listed in the plan. By participating in the BCCP, private landowners do not have to pursue their own 10(a) permit with the U.S. Fish & Wildlife Service, though that option is always available. Following issuance of the permit, the City of Austin dedicated properties it had acquired for reasons of endangered species habitat protection to the preserve system. Portions of some of the City's holdings as parks that contained habitat for the protected species were also dedicated to the BCP. In the latter case, rules for park access and recreational activities were either grandfathered or modified as necessary to meet requirements for species' habitat protection. 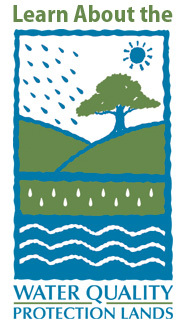 The last important milestone for the City of Austin's BCP program occurred in 2002 when the City Council approved a measure to transfer the BCP program from the Parks and Recreation Department to the Austin Water Utility. It was combined with another City program to manage wildlands, the Water Quality Protection Lands, to create the Wildland Conservation Division. While the BCP program's emphasis is endangered species issues, both programs address water quality issues and manage land in a wild state through similar techniques. Today, management of the City's BCP properties continues within the Wildland Conservation Division. The BCP not only benefits from the sharing of equipment and expertise with its sister program, but also from Division staff with skills in fire management, educational outreach and volunteer coordination that support both wildland programs.